Typhoon Yolanda forced the Electric Vehicle Alliance to postpone the Electric Vehicle Summit originally scheduled for November. Now, the organization is set to hold the summit's third installment on February 27-28, at the Multipurpose Hall of Meralco in Pasig City. Rommel Juan, president of the Electric Vehicle Association of the Philippines (eVAP), one of the event organizers, believes that the EV Summit is now more relevant after the super typhoon ravaged the Visayas. "Now, people are more conscious of the negative effects that can result from our neglect of the environment, leading to global warming and climate change," Juan said. "Thus, this year, even major auto shows abroad have prominently featured electric vehicles and other forms of alternative-fuel vehicles." According to eVAP's press statement, the EV Summit is expected to attract over 500 participants from the Philippines and Asia. It aims to strengthen government and private sector cooperation toward mainstreaming the EV ecosystem. "We brought them together so that major issues and concerns hampering the growth of the EV industry can be discussed, and in the process, partnerships could be developed," Juan said. "Our local EV players were able to forge relations with foreign EV companies from Taiwan, Japan and Korea. 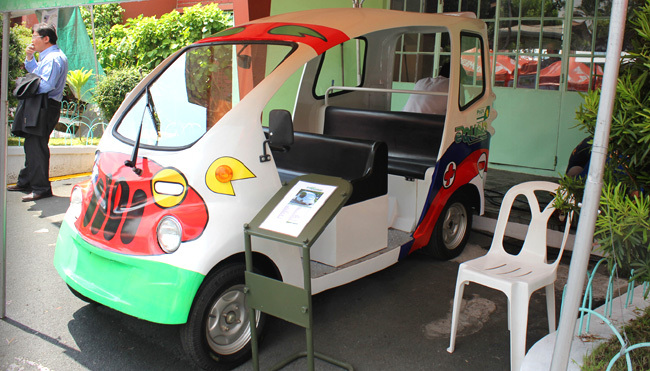 Their collaborations have made it easier for these partnerships to participate in high-ticket projects like the DOE-ADB Electric Tricycle Program." Bringing together foreign and local EV parts manufacturers, the trade fair at the EV Summit will have a display of these companies' latest products. Taiwanese company TECO, along with its local partner Philippine Utility Vehicle, will unveil a locally assembled electric tricycle. Mitsubishi Motors Philippines, meanwhile, will showcase the electric version of the Outlander.